As we kick off this new year, there may be obstacles in your category plans that can unknowingly limit your category results. These obstacles exist for many retailers because their category analytics and plan development haven’t kept pace with some of the biggest disruptors in the industry – including data, the changing shopper and the changing marketplace. If you don't change your strategies, processes and thinking to consider these changes, and don’t open up to new perspectives and ideas, your biggest growth opportunities can be completely overlooked. Update your category management strategies. Category management has changed significantly over the past 10 years (primarily in the past few years). When was the last time you refreshed your approach? There’s an opportunity to attain organization-wide, internal alignment in category management including standards, best practices, and processes. Start with your overall corporate CatMan strategies (definitions, roles, store clusters). This needs to feed into business units/departments, where further strategies are developed that align to corporate strategy. 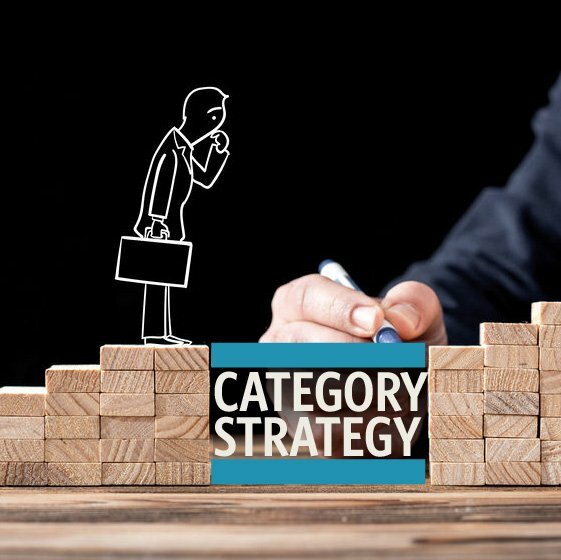 From there, category management teams can develop category plans aligned with overall strategies. Have well-defined roles and consider future needs for your CatMan team. Review your category management process. Does it focus on Shopper? Determine participation or interest in category captaincy with suppliers, data sharing, and data gaps to be filled via supplier partners. Build your CatMan team skills to match with what’s required in a more complex world. Identify opportunities for collaboration with suppliers. Provide a robust data set to the CatMan team to include Shopper data and e-Commerce data. Integrate data (or make it easy to access reports) for quicker insights. Develop an analytic pathway to help guide your CatMan team. Identify your heaviest Shoppers and get to know them better. Improve access to and use of Shopper data and insights across your organization. Demand more of your supplier partners through inclusion of Shopper insights in all analytics and presentations. Add and track Shopper-focused metrics and goals to your category scorecards. Data and analytics need to change to reflect deeper Shopper understanding and an expanded “market”. In the past we have primarily focused our analytics and category management work on Retailer POS, syndicated market data and for a few, household panel data. This is not enough anymore, as retail points of sale have multiplied into mobile commerce, automated storefronts, on-demand services, voice commerce, e-commerce and more! The “total market” measured by traditional Nielsen data no longer captures the true total market. E-commerce retailers are stealing share from brick-and-mortar, but according to your market data, your “share” may be growing. You may end up focused on the wrong opportunities or completely miss out on new business because of the limited lens you are looking through. The missing Shopper. We talk about the shopper a lot, but scratch below the surface, and many retailers and suppliers completely forget about the shopper in their analytics, tactics, strategies, and category decisions. The result is making decisions that don't match best with what your shopper wants — and ultimately potential Shopper dissatisfaction. Private Label continue to grow in importance. Facing increased competition in both brick-and-mortar and online, retailers are turning more to their own private label brands for loyalty, and ultimately growth and profit. Some strong online retailers like Sephora and Amazon have been able to turn their data into private label sales by getting to know their shoppers better than you do. NEW YEAR. NEW OPPORTUNITIES FOR SUCCESS. Collaborate. Many retailers are realizing the value that trusted supplier collaboration can bring to their category results. But this can only come once a retailer has well-defined overall category management strategies. Many suppliers can add great Shopper perspective, as they typically have much more robust shopper insights than retail organizations. Start asking them for better insights as it relates to YOUR category and shoppers (and then understanding how brands fit within that). Benchmark. Without benchmarking to the outside world – ie. total market (that includes online), shopper trends (beyond your Shopper and your supplier’s brand Shoppers), other trends (environmental, geographical, political) - you are limiting your approach. Ask more of your suppliers who call on you. Ask them to bring in breakthrough ideas and opportunities that go beyond your internal POS analysis – particularly for your most important categories. The Shopper path to purchase has changed. Each generation has different needs and paths to purchase. Consumers are demanding and expecting more from the brands they purchase. Your stores attract different types of Shoppers. If you are creating category plans that do not consider the Shopper (with a focus on your heaviest buyers and satisfying their needs), you’re limiting your approach. Include private label brands as part of total category. Many retailers continue to keep “Private Label” as a separate department that has no access to the rich category insights available through the category teams. Also, Private Label is not included in the category analytics, which limits the planning and opportunity growth for Private Label brands. The opportunity is to look at the broader category and shopper perspective, and for retailers to include Private Label in the category discussions, as well as work with their private label manufacturers for additional shopper and category insights. With all of the changes happening in retail, it’s important to evolve your approach! Where are YOU going to start? When you’re planning for this new year, think about what you’re going to do differently to help arm yourself and your organization with category management skills and tools to surpass some of these obstacles and continue to find growth opportunities in your business. By moving to more critical thinking, and developing your business acumen, you will be better equipped to make better decisions and recommendations in your categories/business.